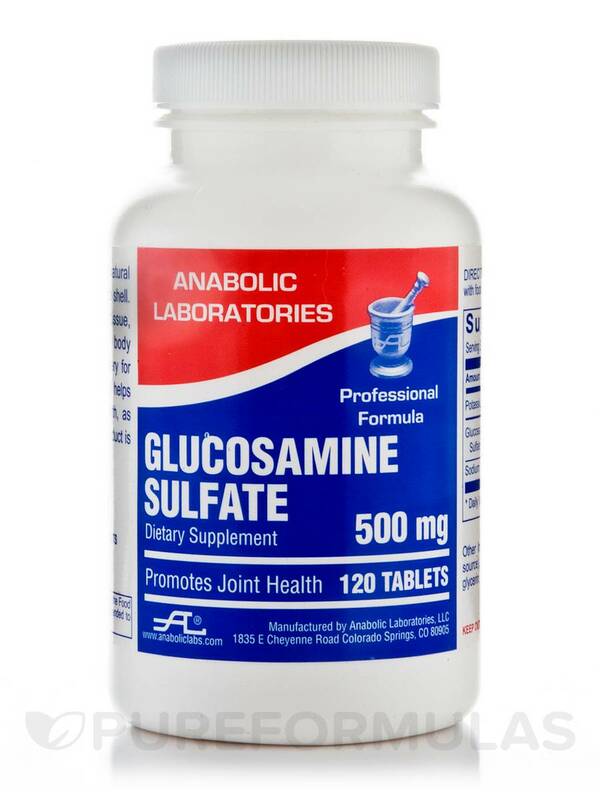 Glucosamine Sulfate 500 mg by Anabolic Laboratories could potentially work to maintain optimal joint function in several ways. First‚ glucosamine is involved in building cartilage‚ which is a tough form of connective tissue that cushions your joints and discourages them from rubbing together uncomfortably. As a result‚ a supplement like Glucosamine Sulfate 500 mg may help address certain symptoms associated with mild joint pain or stiffness. 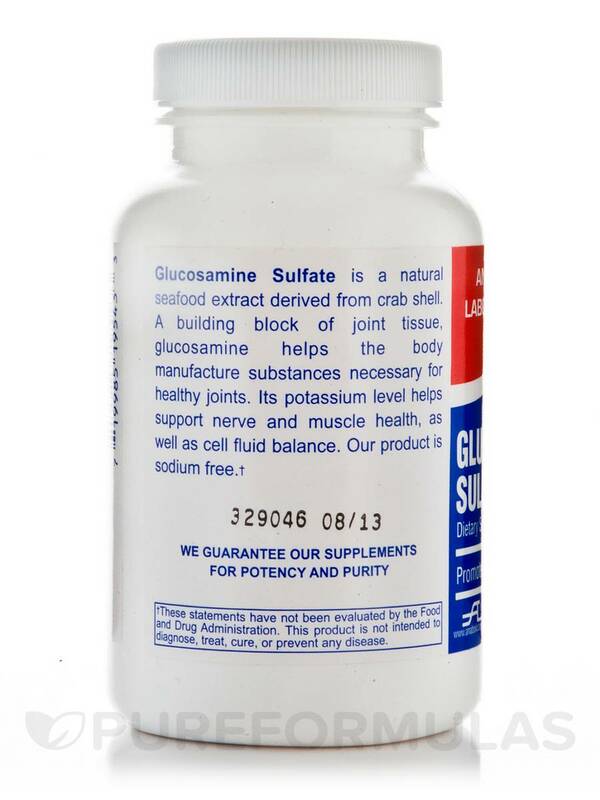 In addition‚ Glucosamine Sulfate 500 mg might aid in the production of glycosaminoglycans (GAGs). Notably‚ glycosaminoglycans may help the collagen and elastin fibers in your joints retain moisture; consequently‚ this supplement could potentially act to lubricate your joints. For these reasons‚ this Anabolic Laboratories product provides 500 milligrams of glucosamine sulfate per tablet. Last‚ Glucosamine Sulfate 500 mg is sodium-free. 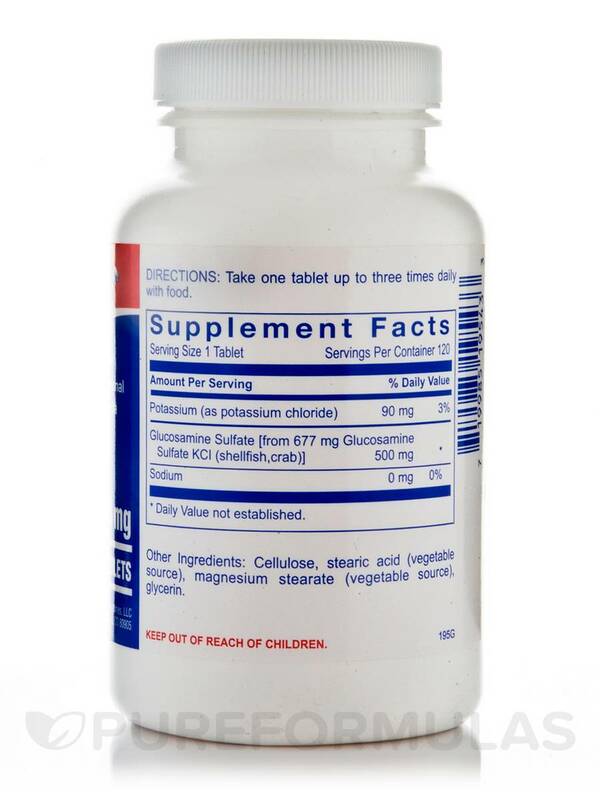 At the recommended serving size of one tablet up to three times daily‚ each 120-tablet bottle of Anabolic Laboratories’ Glucosamine Sulfate 500 mg should last for about one-and-a-half months. One or more tablets per day. Take with food.